Richmond, VA’s Department of Public Utilities classifies their water as “moderately hard,” so it’s no surprise that many residents opt for installing a home water conditioner to soften their water before use. At RainSoft, we make it possible for Virginia homeowners to have an unlimited supply of softened water at their fingertips. Hard water leaves a heavy calcium buildup on your pipes, which can accelerate deterioration in your home’s plumbing. Hard water reacts poorly with most common detergents, forcing Richmond homeowners to use more soap than necessary to create a lather. Hard water rinses poorly. Dishes, silverware, and even laundry can be dull and spotty without the help of a water conditioner. 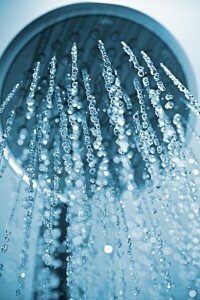 Hard water is harsh on your hair and skin. Soft water is much more luxurious, and leaves you feeling more refreshed. With RainSoft, you can make your good water better. Our whole-house water conditioner systems automatically replace hardness ions (calcium and magnesium) with softer sodium ions. You’ll note aesthetic benefits almost immediately – and you’ll feel a significant difference right away. Of course, a water conditioner system is an important investment, and you want to make sure you get the right one for you and your family. That’s why we offer two unique models, and can help you decide which one meets your specific needs. Our products have been Tested and Certified by the Water Quality Association, and we back every water softener with a Limited Lifetime Warranty. If you’re ready to learn more about a water conditioner for your Richmond, VA home, your local RainSoft local authorized dealer is here to help. Just call us to discuss your water treatment needs, or use the form on this page to request a complimentary in home water hardness and drinking water test.